It doesn’t matter how much of an awards season pro you are; even if you have psychic powers you won’t be able to predict the next batch of Golden Globe winners. The Hollywood Foreign Press Association are a peculiar bunch of folks, and each year they manage to surprise us with a few of their weird and wacky picks — remember that time they nominated The Tourist? The upcoming 75th Golden Globe Awards — see the nominees here — are sure to be full of left field choices, especially since this is one of the more uncertain awards seasons of late. While last year’s movie race was split by two films — Moonlight and La La Land — this season has a handful of likely frontrunners. Look at any critic or awards expert’s Oscars Best Picture predictions and you’ll see a different title in the number one slot, from Dunkirk to Lady Bird, The Shape of Water to Get Out and The Post. It’s a year full of wild cards, but that won’t stop us from prognosticating as usual. That said, here are my best guesses for what will likely take home the gold at Sunday’s Golden Globes. If they end up being wrong, don’t blame me! But if they’re right, definitely give me all the credit. 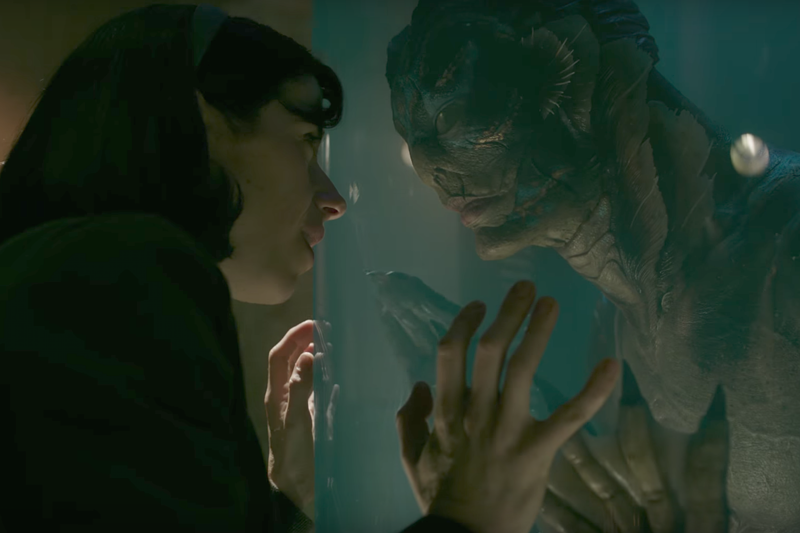 Will Win: If there’s any contender this year that will sweep the HFPA off their feet, it’s Guillermo del Toro’s The Shape of Water. It’s a big, beautiful homage to the movies, it’s a touching romance, and it’s a dazzling visual feast. 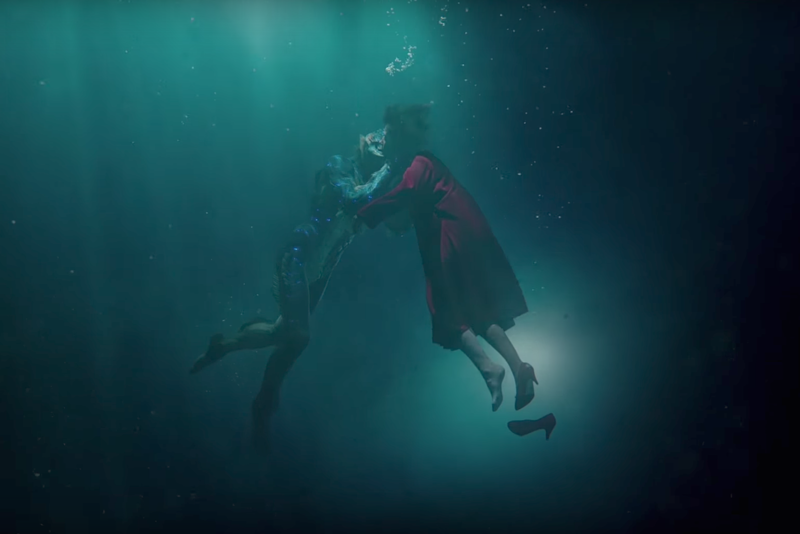 While The Post is also a strong contender here, del Toro’s film earned the most Globes noms (seven total), so my bet lies with the fish-human love story. Should Win: While I’d have no qualms with The Shape of Water winning — especially since I doubt it’ll win the Oscar — the most-deserving nominated drama is Luca Guadagnino’s lush and swoon-worthy Call Me By Your Name. Will Win: There’s a few potential winners here, from Lady Bird to Get Out, which was lumped into the Comedy category, and The Greatest Showman, a musical that will win zero awards outside of the Globes. But Lady Bird is most likely to take this one. A refreshingly funny and deeply relatable coming-of-age movie, Greta Gerwig’s solo directorial debut is the type of film that will warm the hearts of even the most contrarian voters. Should Win: Lady Bird, 100 percent. It’s perfectly acted, directed, and written. Only a filmmaker who truly knows her characters inside and out could capture the ennui and disappointments of her generation this sharply. Will Win: The director race is a tough one this year, split between Christopher Nolan, Steven Spielberg, and Guillermo del Toro. While the first two are more traditional Academy picks, I have a strong feeling del Toro’s period romance will sweep and earn the director his first Golden Globe. But who knows, they might go totally off the ledge and give it to Ridley Scott for simply pulling off the wildest feat of all. Should Win: All are more than fine choices (except All the Money, a snooze-fest with a more fascinating scandal off-screen). But del Toro’s magnificent work in The Shape of Water, a genre-melding masterpiece, deserves the award. It’s a phenomenal romance, a thrilling monster movie, and a gorgeous ode to cinema; what’s not to adore? Will Win: This one’s a competitive category bursting with some of the best talent and fiercest performances of the year. I can see Meryl Streep as the more traditional selection, especially considering the timeliness of The Post, with its rousing messages about journalism and bold women standing up to overbearing men. Or, if the HFPA is as in love with Shape as I expect, maybe even Sally Hawkins for her delicate yet emotive Elisa. But I’d say the scales are tipping a little more in Frances McDormand’s favor. 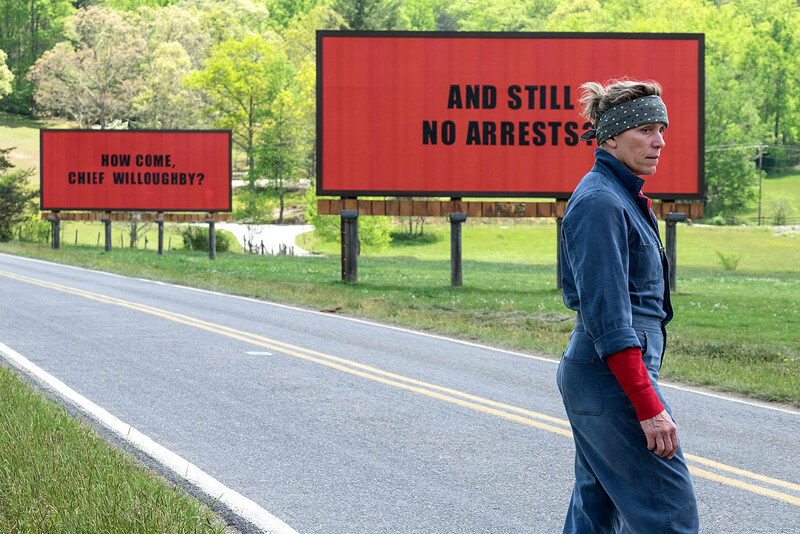 Her performance as a brash, incandescent mother is one that simply cannot be ignored, regardless of what you think of Three Billboards. Should Win: There’s a great mix of ferocity and tender vulnerability in each of the nominated roles, and all — except Williams, who’s not at her strongest in All the Money — are deserving. But every single moment that McDormand’s profanity-spewing Mildred Hayes is on screen, all you want to do pump your fist in the air. That’s a performance you don’t forget. 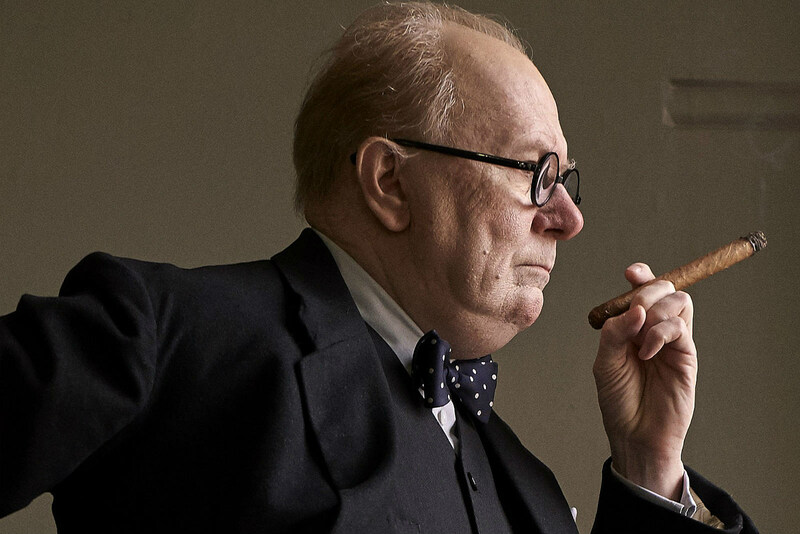 Will Win: Since Darkest Hour debuted at Telluride, Gary Oldman and his prosthetic-heavy disappearance into the role of Winston Churchill has been dominating the Best Actor convo. He’s a shoe-in for the Globe (and the Oscar), but if anyone’s going to give him some competition it’s either Timothée Chalamet, a favorite among critics groups, or Daniel Day-Lewis, whose swan song could be enough to earn him his third Globe. Should Win: Please forgive me, Mr. Day-Lewis, but yes, a 22-year-old gave the best dramatic performance of 2017. As the precocious Elio, Chalamet brilliantly captures the woozy mix of heartsickness and elation that come with first love. It’s the kind of performance that’ll leave you sniffling with a wet face and stuck in a daydream reflecting on your first heartbreak. Will Win: This is Saoirse Ronan’s third Globe nomination, and I doubt it’ll be her third time leaving the ceremony empty handed. Atonement and Brooklyn may have been too quiet to get Ronan the Best Actress award — what do you expect going up against Cate Blanchett and Brie Larson? But Lady Bird, unanimously loved by critics and awards groups alike, is sure to get Ronan her first win. If things get weird, though, I could see Margot Robbie being the upset. Should Win: I’ll save a lot of time by just telling you that Lady Bird deserves all the awards. So I’ll leave it at that. Will Win: While part of me wants to wager Daniel Kaluuya will take this one, I worry Get Out isn’t as fresh in voters’ minds as the other nominees (unfortunately). And though Jordan Peele’s film does have humorous elements, it’s quite a stretch to read Kaluuya’s performance as anything close to comedic — it’s fantastic for how palpable and realistic his terror feels. I see the HFPA going with The Disaster Artist, because what isn’t hilarious about James Franco’s scarily perfect Tommy Wiseau? Let’s not forget that Hollywood loves movies about Hollywood, and if Franco’s film gets any love at the Globes it’ll be here. But just watch that cuckoo HFPA give Hugh Jackman an award for rapping in a top hat. Should Win: Franco, no doubt, but he should also split the statuette with Wiseau, Mean Girls-style. 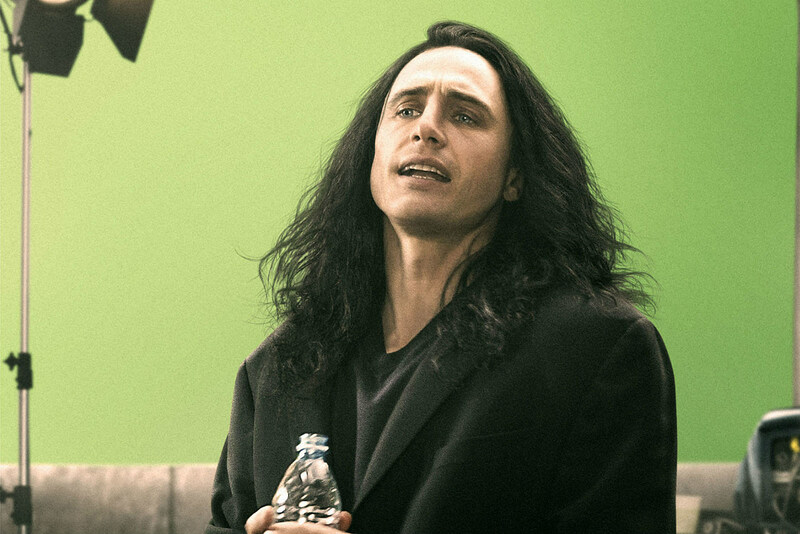 He nails Wiseau’s awkward outbursts and dramatic hair flips, his cringey Room line-readings, and that “New Orleans” accent so flawlessly you entirely forget you’re watching James Franco on screen. It’s a career-best, and I never thought I’d love a Franco role more than his Alien in Spring Breakers. Will Win: If the HFPA is going to throw a curve ball, I’m guessing it’ll come in the supporting categories. 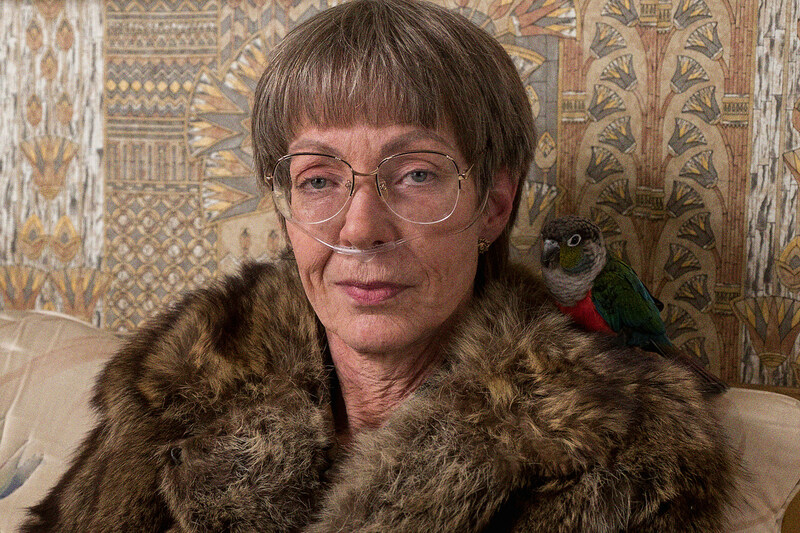 Laurie Metcalf has been the leader of the Supporting Actress race thus far, but I have a hunch the Globes will recognize Allison Janney’s foul-mouthed LaVona Golden in I, Tonya here, especially if they opt for Lady Bird in the Best Comedy and Best Actress slots. Another possible surprise (and a welcomed one) would be Mary J. Blige’s startling turn in the under-recognized Mudbound. Should Win: Don’t get me wrong, I absolutely love Janney’s pitch-perfect LaVona, parrot on her fur coat shoulder and all, but it’s Metcalf’s time. In Lady Bird, she gives an aching and honest performance as a stubborn mother, one who communicates love for her daughter through stern disagreement and high expectations. She never feels like a mother constructed by the movies, but one you’ve known and seen outside the theater. Will Win: My gut tells me this is where the biggest wild card of the night will arrive. Willem Dafoe has been the frontrunner so far, but this is the only category that earned The Florida Project a nom, and I have a feeling the HFPA won’t be too quick to award it. 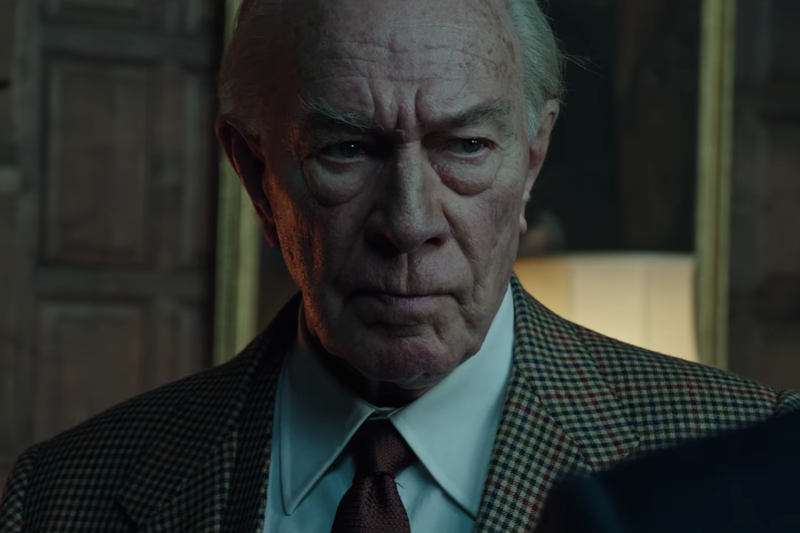 I’m putting all my money (sorry not sorry) on Christopher Plummer. The last-minute reshoots and miracle completion of All the Money in the World is just the sort of buzzy triumph to woo Globes voters (and the fact that Scott got a Best Director nomination over the much more deserving Sean Baker reveals just the same). I mean, this is the group that gave Aaron Taylor-Johnson an award for Nocturnal Animals; prepare for the weirdest. Should Win: As moving as Hammer and Jenkins’ performances are, and as much of a firecracker as Rockwell’s detestable sheriff is, Dafoe gave the most arresting performance of the bunch. We’ve rarely seen him portray such a compassionate, contemplative, and simple man, and in The Florida Project he’s better than ever. One of my favorite movie moments of 2017 is Willem Dafoe politely asking a group of flamingos to get out of the driveway. It’s brief, mundane things like that that make his motel manager so rich and realized. Prepare for the unexpected when the 75th annual Golden Globes air on NBC this Sunday at 8:00 p.m. ET, hosted by Seth Meyers.